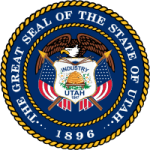 The laws as contained in the Utah code help establish how child support should be enforced. These rules are beneficial when making a case against a parent who is not living up to his or her responsibility. The courts and judges use them to make a decision that will see to it that child support is provided. They provide guidelines on the terms and when child support should be enforced. When a custodial parent files a complaint, these guidelines are used during the investigations.